Interestingly, calcium is also found in spinach and chard, but these vegetables contain oxalic acid, which combines with the calcium to form calcium oxalate, a chemical salt that makes the calcium less available to the body. Regular exercise, especially body strengthening and weight bearing exercises, are an essential part of building and maintaining strong bones, and preventing calcium loss. Calcium loss can take place at any age, even during childhood. Weight-bearing exercise includes walking, jogging, weight lifting, dancing, and soccer. The Harvard School of Public Health Nutrition stresses that if you are using a supplement as a source of calcium, it is best to use one that contains both calcium and vitamin D. For bone health, an adequate intake of vitamin D is no less important than calcium and taking calcium paired with vitamin D seems to be more beneficial for bone health than taking calcium alone. (Look for a multivitamin that supplies 800-1,000 IU of vitamin D per day.) 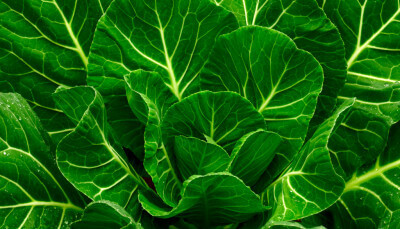 Vitamin K, which is found mainly in green, leafy vegetables, likely plays one or more important roles in calcium regulation and bone formation. Getting one or more servings per day of broccoli, Brussels sprouts, dark green lettuce, collard greens, or kale should be enough to meet the daily recommended target of 120 micrograms per day for men and 90 micrograms per day for women. Cook foods in a small amount of water for the shortest possible time to keep more calcium in the foods you eat.